The State of Wisconsin is just right. It’s not the largest state in the U.S. and it’s not the smallest. Close to 5.8 million people live in The Badger State, making it the nation’s 20th largest state. While the people of Wisconsin are arguably the most infamous football fanatics on the planet, the state does have a softer side. In fact, Wisconsin features some of the region’s most breathtaking landscapes, and an art and culture scene to be envied. The state is home to a variety of major art museums, unique galleries, performing arts venues, and more. These are not the only reasons Wisconsin attracts more than 95 million visitors each year. People come here to explore the state’s most progressive city—Milwaukee and to experience the only county in the U.S. with more than 250 miles of shoreline. In addition to Door County and its endless shoreline, Wisconsin is home to The Apostle Islands, Big Manitou Falls, Cave of Mounds, and Eagle River Chain O’ Lakes. Back in Milwaukee, tourists flock to the architecturally stunning Milwaukee Art Museum (MAM), and other attractions such as the Pabst Mansion, The Harley Davidson Museum, and the Basilica of St. Josaphat. In addition to a thriving tourism industry, Wisconsin is home to an active film industry. Just like the millions of tourists that visit each year, Hollywood comes to town to take advantage of the state’s unique landscapes and attractions. 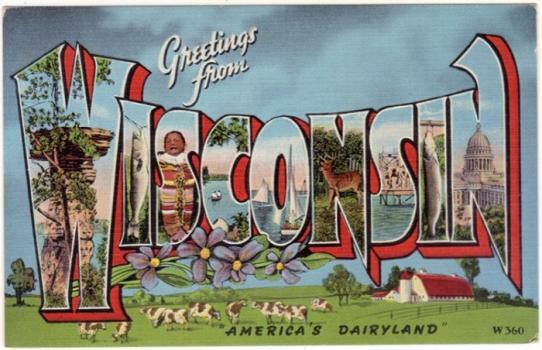 Wisconsin has made appearances in popular films such as Transformers: Dark of the Moon (2011), Bridesmaids (2011), Public Enemies (2009), The Last Kiss (2006), Capturing the Friedmans (2003), The Deep End of The Ocean (1999), A Simple Plan (1998), I Love Trouble (1994), Rudy (1993), Uncle Buck (1989), and The Blues Brothers (1980). The state is also a magnet for independent filmmakers and aspiring filmmakers from across the region. Wisconsin is home to a variety of schools that offer competitive film programs. Most are part of the University of Wisconsin system, while others are offered at private schools. Continue reading to learn more about Wisconsin’s top film schools and what they have to offer. Wisconsin is home to 84 Title IV colleges and universities that house nearly 375,000 students. Many of these schools offer excellent programs for artists and designers of all kinds—including aspiring filmmakers. Just a few of state’s top art schools include Peck School of Arts at University of Wisconsin Milwaukee, Milwaukee Institute of Art & Design (MIAD), University of Wisconsin at Madison, and Carroll University in Waukesha. Take a look at the list below to review Wisconsin’s best options for aspiring filmmakers and where to find them. Producers and Directors - Wisconsin is home to 920 salaried producers, up from 720 in 2013. They average $53,960 per year, down from $66,060 in 2013. Film and Video Editors - Wisconsin is home to 110 salaried film and video editors, down from 190 in 2013. They average $44,460 per year, down from $47,600 in 2013. Camera Operators (Television, Video, and Motion Picture) - Wisconsin is home to 250 salaried camera operators, down from 350 operators in 2013. They average $35,540 per year, up from $34,430 in 2013. Animators (and Multimedia Artists) - Wisconsin is home to 260 salaried animators and multimedia artists, down from 360 in 2013. They average $45,980 per year, down from $46,880 in 2013. If you are interested in establishing a film career in Wisconsin, consider moving to Milwaukee. The city is the largest in the state and it is home to a number of film production companies, facilities, and studios as well as creative agencies and television studios.